What Version of IBM i are You Currently Using? 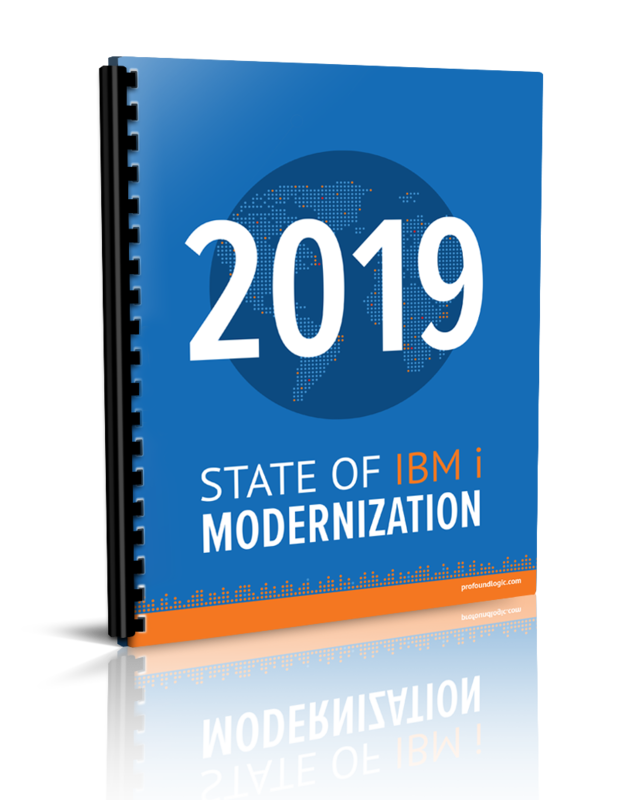 Compared to the previous year, there has been a significant increase in the number of users who have upgraded to the most current version of the IBM i (7.3). This is a clear indicator that businesses intend to remain on the IBM i platform. With more new and exciting capabilities coming in the near future, companies are beginning to see the future of the platform come into shape and want to be ready to implement these capabilities immediately. What Percentage of Your Third-Party Applications Use a Graphical User Interface (GUI)? These results clearly show that most IBM i businesses (almost half) are still using green screen interfaces for their third-party applications. Nearly a quarter indicate that the majority of their third-party applications have some sort of modern GUI. These results can indicate several things including end users being more comfortable with green-screens or the third-party applications that are being used not offering a GUI option. This gap in graphical user interfaces can contribute to the traditionally negative view of the IBM i platform. It is encouraging to see the number of users that are using a third-party GUI for the majority of their applications is on the rise, but there are still many IBM i shops that are not taking full advantage of these options. 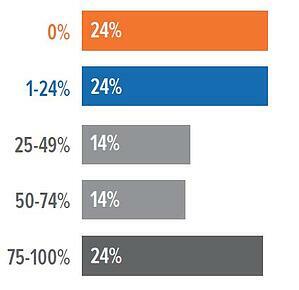 What Percentage of Your Business Applications Run on the IBM i Platform? These numbers are pretty consistent with last year's results with a slight uptick in the percentage of applications run on the IBM i. This figure should give businesses confidence in the power of the IBM i with 65% of participants saying that more than 50% of their applications are trusted on the IBM i and nearly half say that more than 75% of their applications are run on the IBM i. The 10% that run fully on the IBM i show others that IBM i can be trusted with all their applications if they desire. Which of the Following Types of Applications are Used by Your Company? 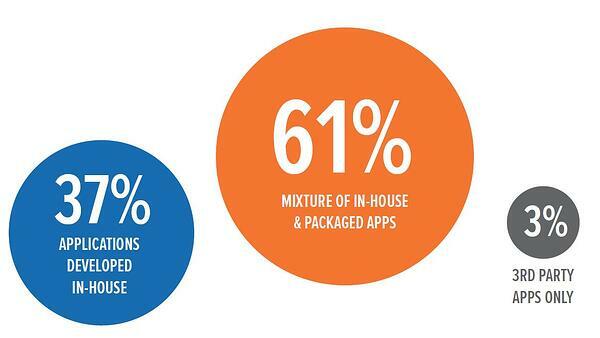 No big surprises here: The majority of IBM i companies use a mixture of home-grown and packaged applications. The biggest take away from this is that businesses that use third-party apps will modify them by using their in-house development teams to help customize those apps to the needs of the company. 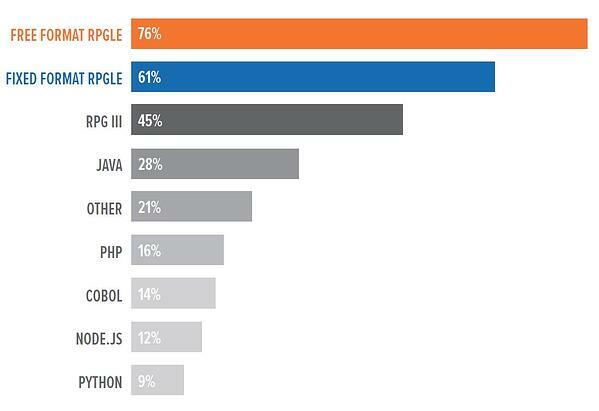 For two years in a row, Free Format RPGLE is the most used programming language on IBM i. Fixed Format RPGLE is a close second with RPG III taking third place once again. 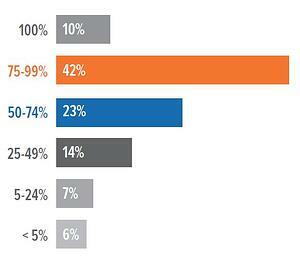 The use of Java stays steady at 28%, although there is an increase in the use of Open Source languages. PHP moved down from 19% to 16% this year, but one of the biggest increases came from Node.js which has increased by 8% in only one year. 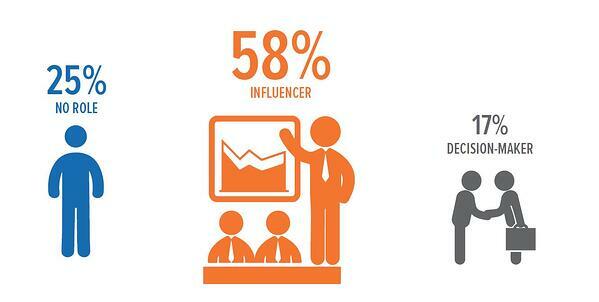 Next week we will take a look at some of the Current Attitudes Towards the IBM i. Didn't participate in this year's survey? No problem! Just leave a comment below with your answers to the above questions and tune in next week for the second installment.